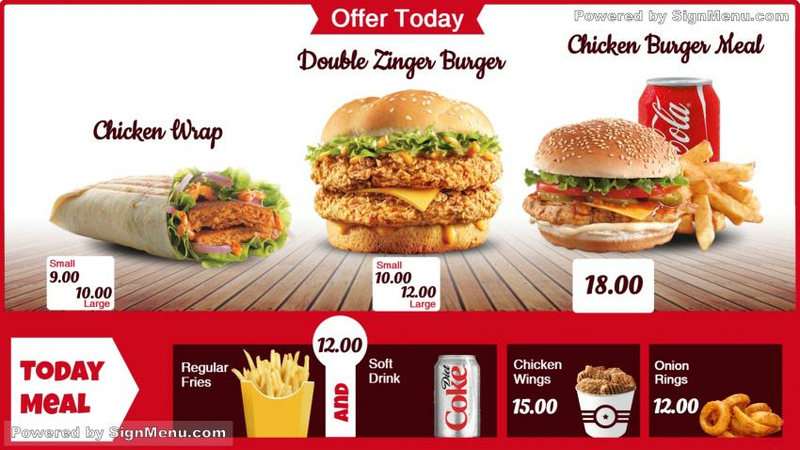 This is truly a unique template of an exclusive three-item burger menu. The multi-colors in white & red provide an unmatched elegance and sophistry to the menu. On a digital signage screen this template will be an absolute sell-out ! The scintillating visual appeal will bring customers in hordes ! And if this is your menu for the day be sure to have enough stocks to feed the entire population of your city ! All the best ! !